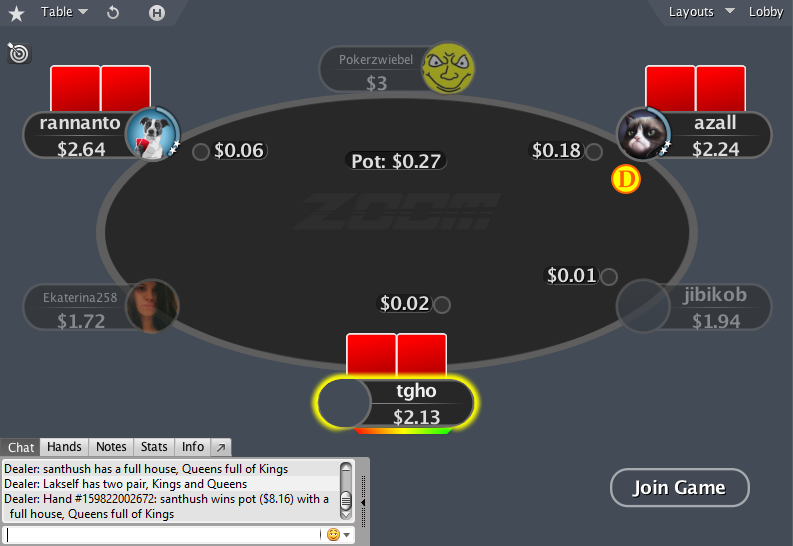 This theme makes it easy to concentrate on playing and not be distracted by complicated visual effects. 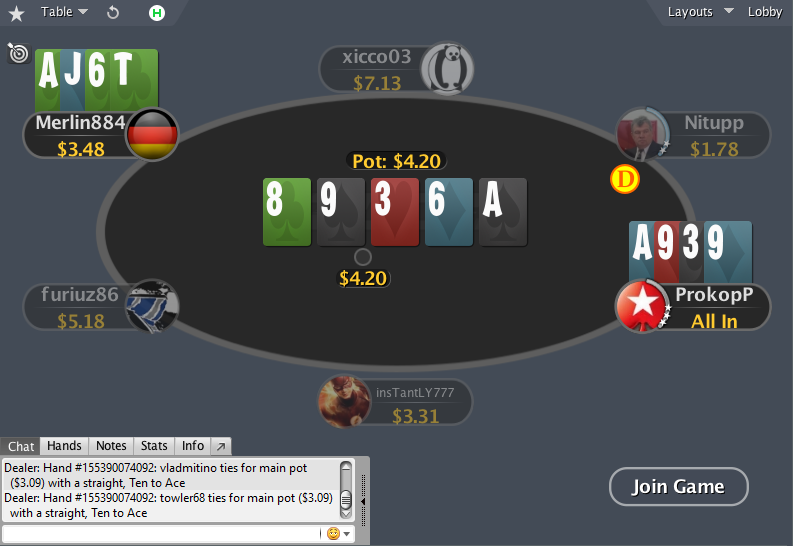 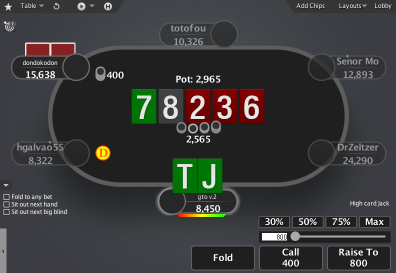 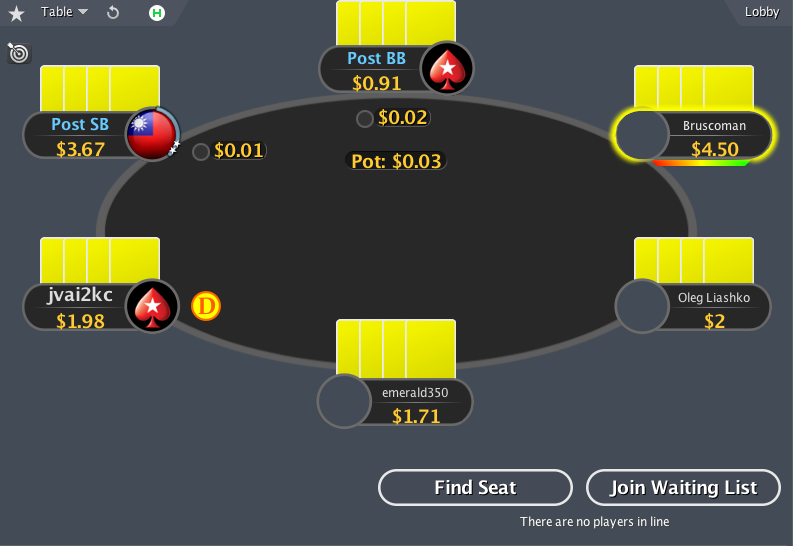 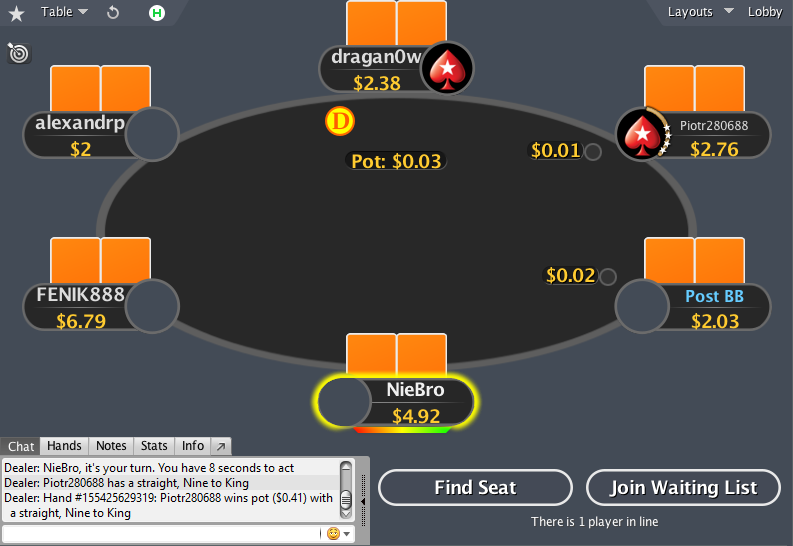 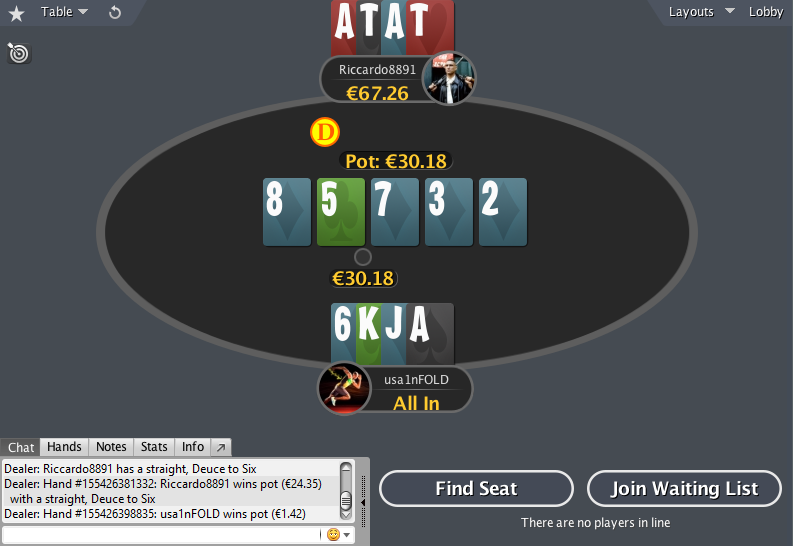 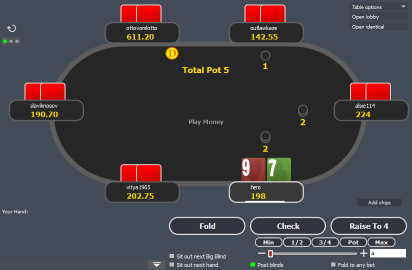 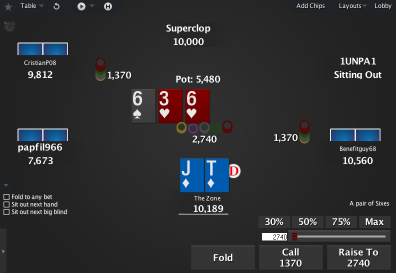 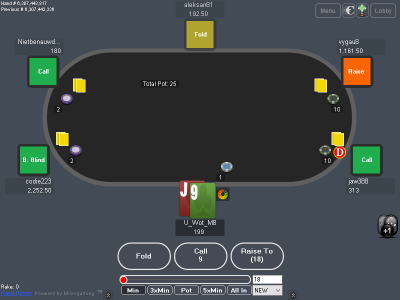 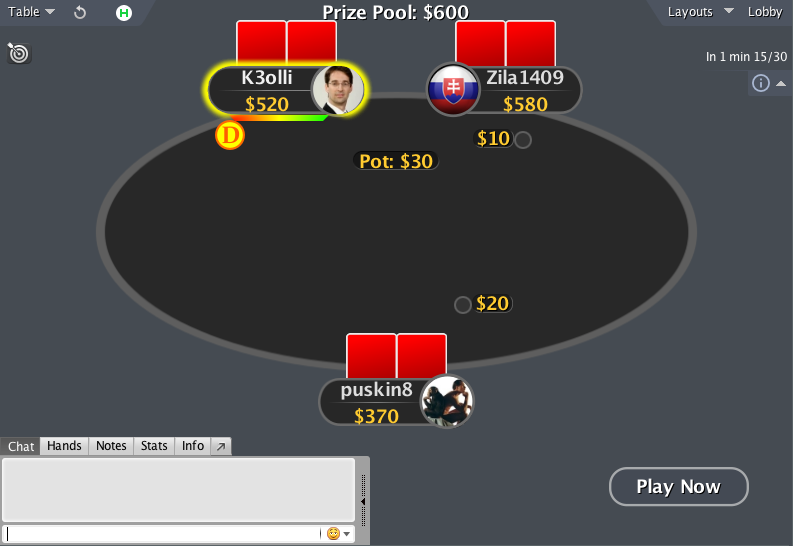 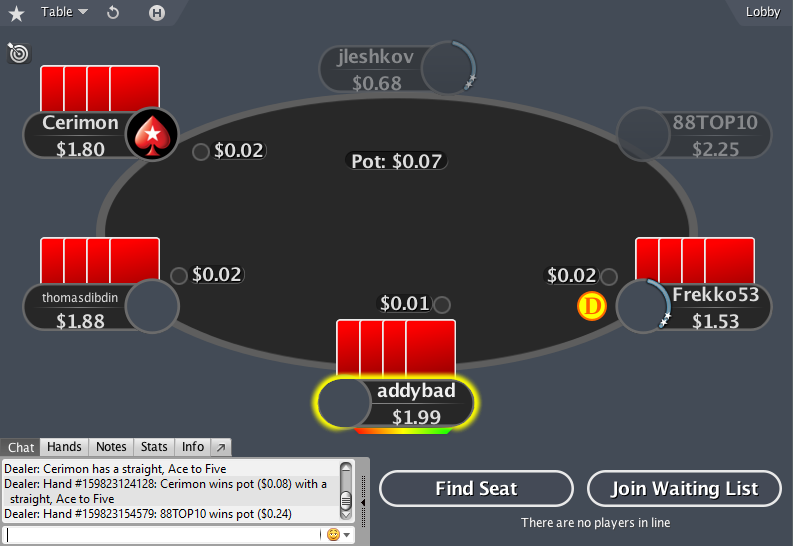 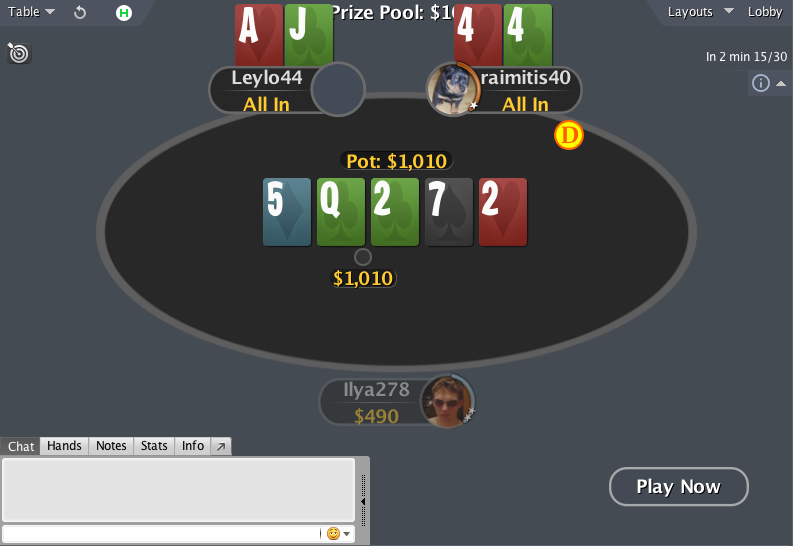 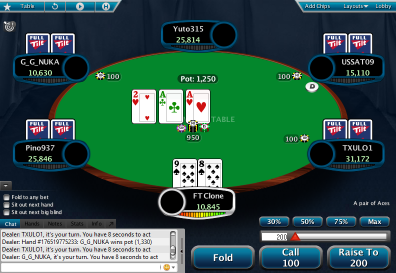 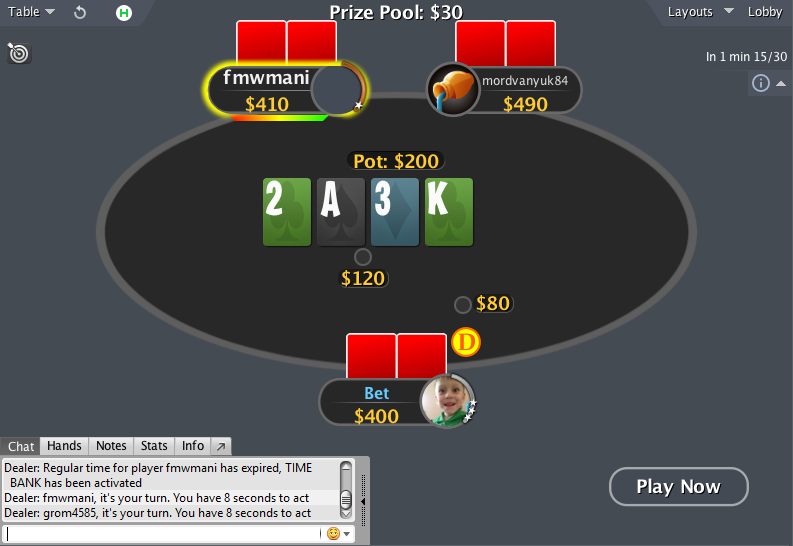 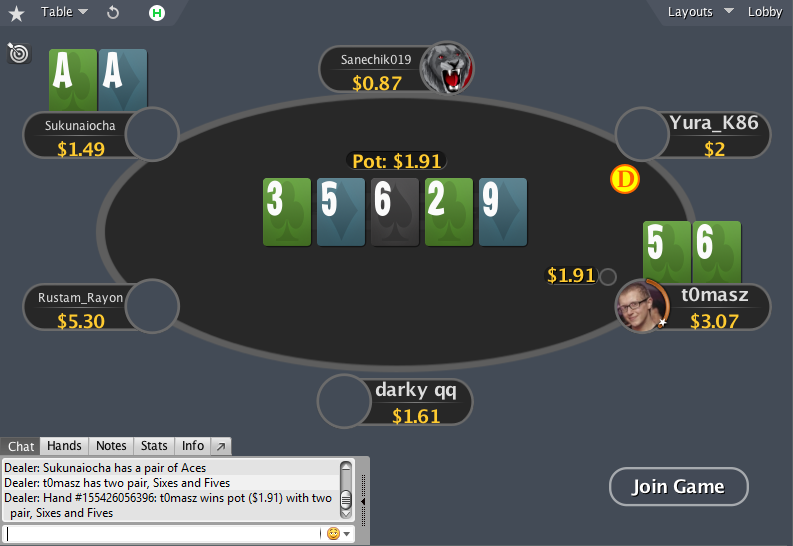 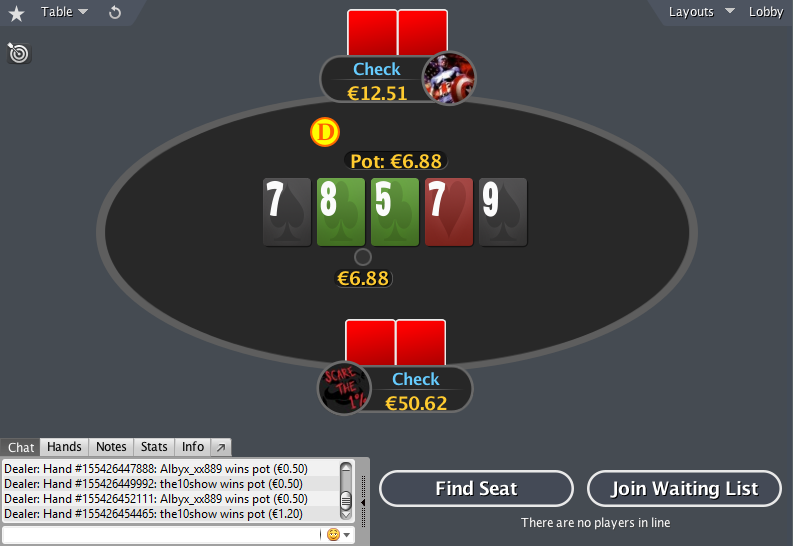 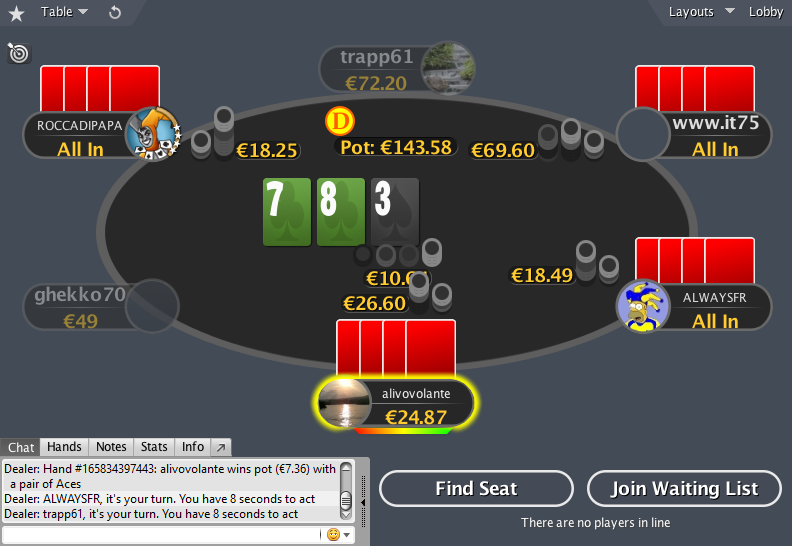 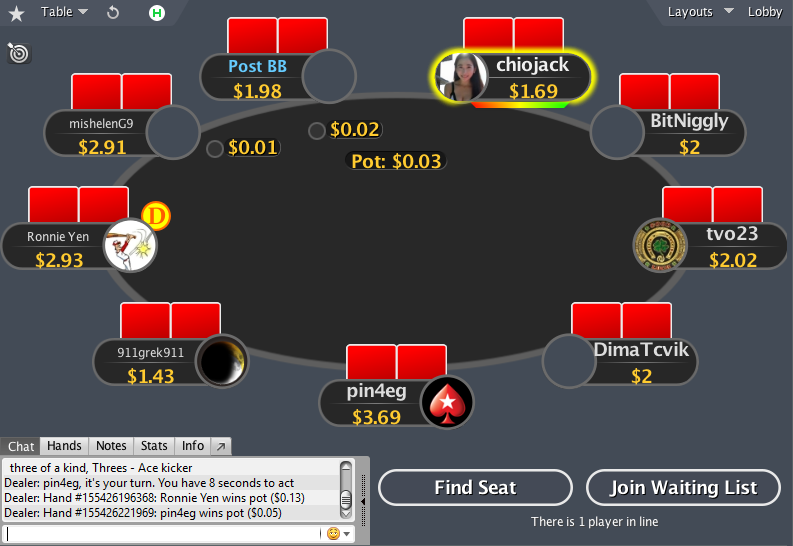 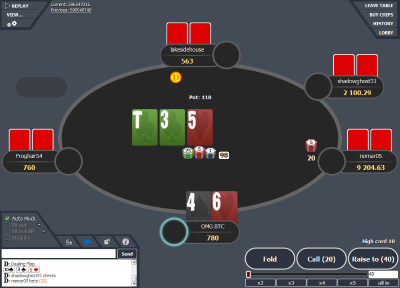 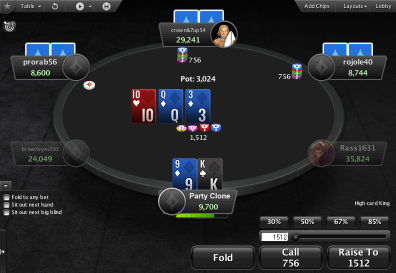 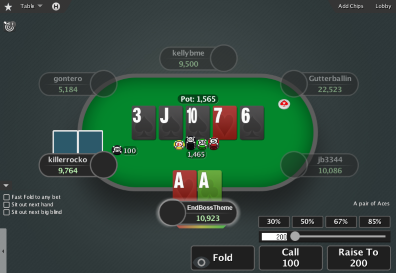 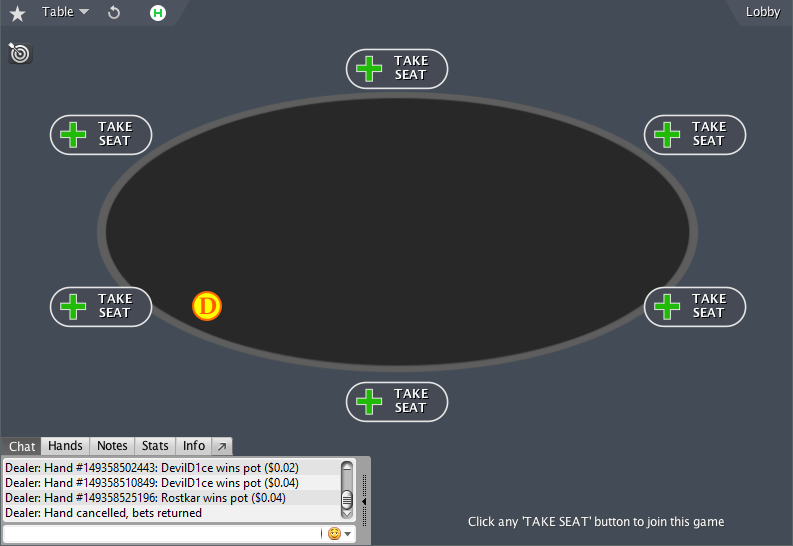 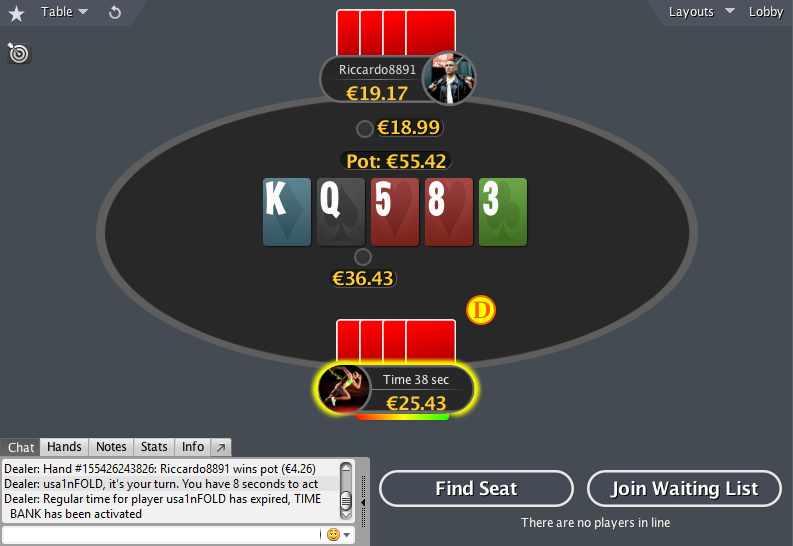 The table and background are very simple and easy on the eyes, cardbacks are easily distinguishable from the background and you don’t accidentally cbet into 4 people, thinking it was a heads-up pot. Stacksize , betsize and potsize fonts are increased, for easier viewing experience. 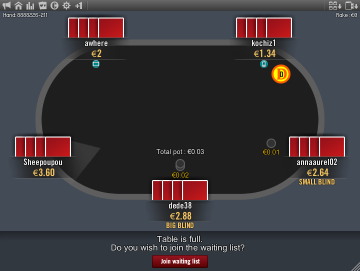 Dealer button is also made bigger and in bright colours, to be able to see at a glance, who’s on the button and what’s your position. 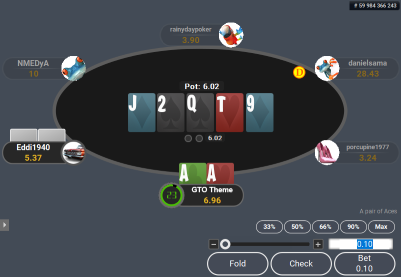 Playing GTO poker is effectively impossible, but what could be more GTO theme wise, than a table, where the most important info is given the highest priority.